This is a well-researched explanation and I think you are right that ‘dialogue’ is a more accurate word in a language learning context. I think the difference between the two is that conversation is an art. You might say that someone was a good bar-room conversationalist but you wouldn’t say they were a good dialogician. Good conversationalists are chameleons – perhaps there is a machiavellian connotation to that but people do need to adopt different codes for different people; from the duke to the dustman as it were. Good conversationalists are likewise erudite, articulate and urbane, i.e. book clever, word clever and people clever. Beyond this, good conversation should be open to controversial ideas and taboos as long as they are expressed with logic, reason, facts, humour and politeness. But this is a stylistic and artistic end to the skill. For the purposes of the language classroom the priorities are different. Effective communication is the bedrock and the rhetorical adornments are a luxury perhaps more suited to advanced learners. Personally, I think in a general class of low-level learners – where conducting small-talk is obviously a struggle – one of best things teachers can do is foster natural, everyday small-talk. Jason Renshaw’s unplugged lesson video on his blog is a great example of this. Let’s face it – and so many students say its important – small talk is one of the most common and socially vital ways we communicate with each other. If only for the first time we meet people, say at a party… These conversations contain our first (and lasting) impressions of someone and in a way, are fairly predictable (tiresome after a while even! )… so, where do you come from? What do you do? Have you ever been to…? Yes, I’ve been living here for…? I remember early on in my teaching, being surprised that many ostensibly business English learners were often as interested in the art of coffe-break small talk as they were their presentations or conference calls. Why? Well, it’s such an integral part of getting to know who you’re really dealing with in business (sussing them out, as it were!). So, in my view, small talk definitely needs to be fostered in practically any kind of class, regardless of what else the learners are focusing on. Thanks David for the comment. I agree that most students hunger for the conversational gambits that comprise small talk, and that this is an important area of language to target – ‘phatic communication’, if you like. Nevertheless I think it’s important to stress that the focus on conversation in the dogme classroom is not so much for the purposes of teaching conversation, per se, than to provide a matrix for the devleopment of overall language proficicency. If speaking skills improve as a consequence, so much the better. 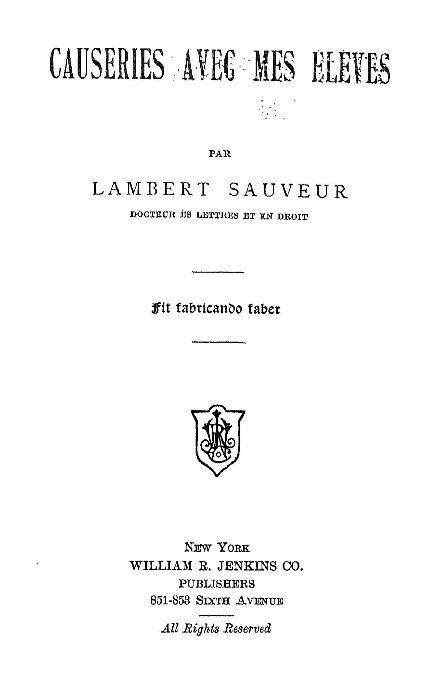 Over a hundred years ago, Henry Sweet wrote that “conversation in a foreign language may be regarded from two very different points of view: (1) as an end in itself, and (2) as a means of learning the language and testing the pupil’s knowledge of it.” (Sweet, 1899, 1964, p. 210). 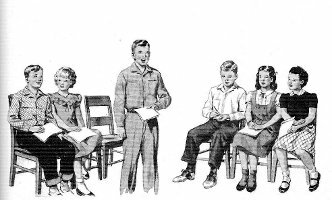 It is this latter purpose – although with less emphasis on testing – that underlies the dogme dictum that classroom teaching should be ‘conversation driven’. Scott, you invite us to consider what “conversation” means. I think about this question often in social German life where I am always quoting: “What is truth? ” said Pilot, and did not wait for an answer.” So often, it seems to me, women here especially, ask you a question and then turn away to speak to someone else when you begin to answer. They are very bad, in other words, at turn-taking (and rude). And if more than four people are eating together at a table conversations typically split into two or three and no-one can hear easily what is going on. A crucial point, obviously, is that a “conversation” must be attended to by the participants and turn-taking rules must be adhered to. Apart from that while I cannot define it helpfully, I can certainly distinguish between a conversation that is merely polite: “Do you come here often? How was the drive from Berlin?” and one in which at least one participant genuinely wants to report something, find out something, make a statement of genuine feeling or committed opinion. Speaking just to fill a gap won’t do. I am sure there is room here for exploring the difference between day-to-day conversation and therapeutic discourse. Anyone who has had therapy will know the profound difference between mere chat and effective conversation – typically a monologue with suggestive comments by the therapist. It is Halliday I think who writes about learning how to mean. Somehow, it seems to me, we need to school dialogic language learners to mean what they are saying – as well as saying what they mean. Any satisfactory definition of “conversation” I would suggest must include this element – the talk must be genuine, felt, meant, whether it is about food, computers or feelings. Really enjoyed this Scott, thank you. Just a quick lateral connection. Your lovely formulation: ‘This tension between the predictable and the unpredictable makes conversation – real conversation – an ideal medium for instruction’ chimed with something I was just reading about John Dewey’s desire to find a balance between excessive focus on subject-matter and exclusive focus on the child. That strikes me also as a tension between the predictable (subject content) and the unpredictable (human beings). And facilitation through dialogic teaching and conversation as the best way to negotiate, explore and – maybe! – resolve it. Thanks, Luke – slightly tangential, but your mention of Dewey reminded me that he also said that the experienced teacher “has acquired the requisite skill of doing two or three distinct things simultaneously — skill to see the room as a whole while hearing one individual in one class recite, keeping the program of the day and, yes, of the week and of the month in the fringe of consciousness while the work of the hour is in its centre” (The Relation of Theory to Practice in Education,1904, p.318). “The work of the hour” — or indeed the work of the minute –is probably where the teacher deals with the unpredictable, while having one eye cocked on the broader agenda. Great post. Hope it’s OK that I share what happened in a workshop I gave yesterday in Bern Switzerland. The workshop was on improving fluency in Speaking and a few days beforehand I found out that over 70 people had signed up and so it would have to take place in the main plenary hall which luckily had chairs, plenty of space and bare walls! I was pretty nervous before hand for a few reasons. Firstly I planned much of the 75 min workshop around participant conversation and emergent language – I wanted to introduce the ideas of a) listening to our own language to demonstrate that we have all the authentic scaffolds for our students and b) the skill of listening closely to other peoples conversations and making notes about the real language they use and c) what to actually “do” with the emergent language and language scaffolds. So the shape of a “lesson” so to speak. Finally I knew a high percentage of the teachers at the workshop would be Swiss state school teachers who were perhaps not used to or familiar with such ways of working. After splitting the room into 7 groups of 10 I assigned the roles “language detectives” to 2 of the group and “conversationalists” to the rest. I then gave 2 minutes of silent time and asked the conversationalists to think about 5 things about themselves they’d be happy to share with others. I asked the language detectives to get organized with pens and paper. Then I asked language detectives to circulate and listen in on various conversations and make notes of useful language. I gave examples of the type of language this could be. Discourse features of speech, formulaic expressions, natural grammar structures like “I really like verb+ing” etc. The conversationalists simply had to tell each other about themselves, ask questions and generally speak as normal. The conversation phase lasted about 15 mins with several change of partners, giving the language detectives the chance to jot down enough language. Then I asked them to sit in their groups with a big piece of paper and decide together on the 6 most useful structures they felt would help students carry out a similar conversation and if poss focus on an area of language like discourse features or phrasal verbs – if they’d come up. This resulted in lots of conversation (which I joined in) Here are some examples of what groups came up with. I pointed out how this is often the stuff that contributes to sounding fluent but is so difficult to teach. Then I introduced Swain’s notion of producing the push in order to aid fluency with the following points. Repeat tasks, have public performances, incorporate new language items into the task and increase the memory load. We talked about how once we had these language items – how could we best help students incorporate them into their own productive speech? We then did some activities which might help with that. So we did a Speaking Bingo game using discourse features of turn taking. A disappearing dialogue with attention to aspects of rhythm, stress and intonation and finally a jazz chant using phrases to express agreement and disagreement. Some practical ways of working directly with the language your students need. Some practical ways to help ‘anchor’ those selected items into students memory. Some linguistic theory which may influence our expectations and activities in class. I opened the floor for Q+A for the last 10 mins I wanted to be sure that teachers of whom many were non natives felt comfortable using their own language in this way and we talked about how initially it was difficult to listen in on conversations for both meaning and structure. Seriously, sounds like a great session and illustrates nicely one of the recurring challenges I hear about unplugged approaches in the classroom – it is too hard to listen to genuinely interesting conversation and listen out for linguistic interest. It is unfamiliar for most people, but – as your workshop experience shows – it is far from impossible! Really looking forward to yours at ZUG Anthony! And yes, the two main “difficulties” people had were getting so caught up in listening to the conversations that they found it tough to listen for linguistic items and also as there were 70 people – some people found it difficult to listen intensively with the obvious noise level. Steph – another case of synchronicity – how did I know that you were about to do a workshop on speaking when I posted on conversation!? Your generous description of the workshop would serve as a model for any interactive, materials-light teacher training session. I can’t wait to try it! Thanks Scott – a great post. 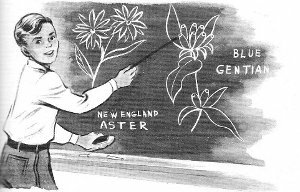 I particularly liked the idea from Ashton-Warner (“I harness the communication, since I can’t control it, and base my method on it”) suggesting that having a class which is difficult or impossible to “control” is an asset rather than an obstacle, as the learners have a collective attribute, or gift, of natural interaction which can be exploited. I’ve always used and taught small talk to classes, especially to lower-level and business ones. Lower-level students need the speech acts to be able to interact, keep a conversation going and signal interest, whereas business students, as Mr Darkbloom pointed out, need to be able to interact using small talk just to communicate appropriately with colleagues and clients in most English-speaking business contexts. Indeed, this aspect of spoken language is frequently needed (and used) more by these learners than being able to use financial lexis and give presentations. Materials writers seem to agree, as most business coursebooks and resource books now feature sections on small talk. Loved the workshop idea, steph. Is it available for sourced borrowing? Hi Nick, thanks and feel free, everything that I used in the workshop came from ideas/inspiration from others and I think every workshop of this nature ends up unique anyway as the mix of people are never the same. I wish I could have done your workshop , it sounds great ,I’ll put your ideas into practice in my school , thanks from Agentina ! 1. Would we define as a “dialog” an interaction among four speakers? 2. Might all the possible conversations have already taken place in the history of a language? A sort of finite virtual conversation corpus? In the book I wrote with Diana Slade on conversation we use the rather clumsy term ‘multilog’ to capture the fact that conversation often occurs between more than two speakers. As for your point about all conversations having occurred, this is, in essence, what the Russian scholar Bakhtin claimed — that everything we say is an echo of, or response to, something that has been said before, and carries with it the history of all previous conversations. “Our speech, that is, all our utterances are filled with others’ words, varying degrees of otherness and varying degrees of ‘our-own-ness’, varying degrees of awareness and detachment. These words of others carry with them their own expression, their own evaluation tone, which we assimilate, rework and reaccentuate” (Bakhtin, Speech Genres and Other Late Essays, 1986, p.89). everything we say is an echo of, or response to, something that has been said before, and carries with it the history of all previous conversations. Nevertheless I think it’s important to stress that the focus on conversation in the dogme classroom is not so much for the purposes of teaching conversation, per se, than to provide a matrix for the devleopment of overall language proficicency. Yes it is, Scott, thanks. I would say that teachers teach grammar because it’s easier than teaching speaking. It can’t be because it’s fun. As for young learners, there are many teachers here in Japan who base their curriculum on phonics. Phonics is a powerful tool in an EFL setting, but shouldn’t we be giving kids a good start at speaking? My observation has been that a majority of teachers teaching kids are taking the easier road. Ironically, the kids who come to my school who had a non-native teacher have strong speaking skills. Could it be that non-native teachers are not teaching phonics, but speaking skills? I also want conversation to be “emergent” and want to encourage that, but without a topic, and without some planning (on the students’ part), I feel this has been difficult (especially with lower level students). Students are shy and hesitant, and though they answer questions when asked, the whole drill can feel like a day at the bowling lanes: everyone takes a turn while the others watch and listen quietly (polite or nervous laughter takes the place of applause). But the bowling can be slow, and as a teacher I sometimes feel like I have to guide students to the lane, lift the ball, and place it in their hands. . . . pull the arm back. Things have not actually been that difficult. But there is sometimes the feeling (despite the table being nice and) of everyone looking to me for conversational guidance or help, when the ideal of course is a lively, egalitarian discussion. Since this isn’t a class per se, and since my time is limited, I want to find a structure that puts more of the onus back on the students, and yet creates conditions for greater fluency. Having just completed a course with Marc Helgeson, the solution I was thinking about was planning/think time. That is, I have the feeling that one of the impediments to speaking for these students is that they have not had time in advance to think through a) what they might want to say about a given topic and b) what words / phrases they might use to say these ideas in English. Therefore, I am making a form for them to receive when they sign up which explains the importance of planning, and gives them some space to write/organize their thoughts in advance. I know personally, for example, that before I pick up the phone to make a call to the office staff in Japanese, I do a similar kind of language planning exercise myself. I sometimes even jot down notes about what I will say, words that may come up, etc. I am fluent in Japanese in certain domains, in a sense, but when I have to use language in a domain where I am not accustomed to speaking, I always find planning useful. When I don’t plan, I always wish I had. So this is the theory (or, I should say, anectode) behind creating a structure that encourages planning on the students’ part. And then I read your post . . .
Where do you (and others here) place planning within this conversation on conversation? Both of these conditions place a premium on my being able to say what I want to say clearly and powerfully. But I also want to be able to focus on what my interlocutor is saying, so that I can accommodate that – and if I am making up what I want to say entirely on the fly, I have less brainpower left for that, it feels like. So I’ve been encouraging learners in classes I teach to take half a minute or so to consider what they would like to contribute to an upcoming conversation, and to research or request required lexis in advance. Nothing new here (Scott and others put me on to the idea ages back) but it still impresses me how much this seems to act as a leveller in an otherwise mixed proficiency/confidence group of students. So I find your idea of a tool to encourage your learners to make a plan of attack for a conversation very interesting and would be very interested to hear more about what they put down on paper and how they feel about its impact. Hi Peter. I think planning is a good idea, but with a group where you don’t have the same students each week, I think I’d be inclined to give a few minutes planning time in the course of the session, once you know what they’re interested in talking about that day. For groups such as you describe, to give a bit of focus and structure, I find it very useful to have a conversation stimulus, or a series of stimuli, to get the conversation going. This could be a map of the world or their country, photos around a topic (see ELTpics :-)) or a series of questions, often around a topic but not necessarily. With the questions, introducing a very loose game-like quality works well, relaxes the students, makes it a bit more fun, as well as giving a bit of structure. For example, using a pack of cards, students pick a card and have to answer the corresponding question. (All groups I’ve used this with love finding out what the different cards and suits are called). Or, questions are cut up and turned upside down for students to take turns picking one, answering, asking others, etc. Even, board games with dice and counters, such as you can find on OneStopEnglish.com. With each question, allow/encourage the conversation to develop, asking what other students think, asking follow up questions etc, reformulating contributions and focussing on language as you go. When the conversation lulls, it’s the next student’s turn to pick a card/question or throw the dice. Some questions won’t generate much conversation at all, but others can produce very enlightening and interesting information and discussion, and provide useful speaking practice! One of the problems with providing opportunities for real conversation in the classroom is that, as Bannink (2002) points out, conversation resists planning: “Genuine conversational interactions cannot be the outcome of preplanned lesson agendas, they have to emerge – and so, by definition, cannot be planned” (p. 271). Ernst notes that these talking circles “provide rich opportunities to practice the L2 and to engage in direct and meaningful interaction” (p. 294). It may be that the best fluency practice that learners can have is when the pre-lesson chat is “ritualised” in this way, i.e. when it is incorporated into the lesson as a regular feature. Howard recounts how the conversations with his Chinese teacher often revolved around objects and photos (that Howard, the student, supplied), and the advantage of these – apart from being a stimulus for the conversation – is that they offered a point of re-entry after a digression into grammar or vocabulary. and the other three had to request repetitions and explanations. including allocation of rooms – one without a window etc. share and interviewed people from other groups. draft the letters of acceptance, rejection. satisfied with the liveliness and fun of the group negotiations. happened. Compared with the group discussions, these reports were flat and unproductive. better way of taking notes. “You are just supposed to motivate us”, said the student. performance of tasks rather than individual preparation..
Dear ELT agony aunts, what should I do? 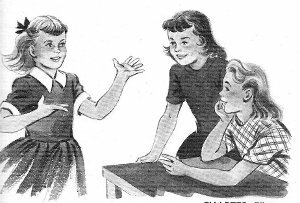 I hadn’t come across Ernst’s article before, but I often use conversation-circle type activities to start off speaking and listening lessons. Like Carol, I go in with some discussion prompts just in case we need them, and I would echo the points that people have made about small talk, and not just at lower levels, either – I’ve had advanced students in my classes recount stories about coming unstuck because they didn’t know the rules of social interaction for the situation they found themselves in. I would say that register, tone, and body language also play a significant part as well, as these can make a big difference in terms of how learners are perceived by other people. For instance, fillers can be misconstrued as sarcasm by listeners if the tone of voice is not quite right. Thanks, Sue, for that – and good luck with your class! Student 1:	Emma, where are you going tonight? Student 2:	Tonight I am going to have supper out. Student 3:	Where are you going to have supper? Student 2:	I don’t know. I am being taken out. Student 4:	Who are you going with? Student 2:	I am going with — with a guy, but he isn’t my boyfriend. Student 1:	And where is your boyfriend? Student 2:	Do you mean now? Student 1:	No, not now. Where will – erm he be this evening? Student 2:	He’s going to play water polo. Student 1:	Hmmm, water polo – very interesting! Is your boyfriend hunky? The above segment lasts less than a minute on tape but took around ten minutes to put together, each line having been tried out and rehearsed before being recorded. Once a sufficient amount of conversation has been recorded, it is played back and transcribed on to the board or an overhead transparency, and it is then available for reading aloud, for some kind of analysis, or for further refinements, such as the addition of discourse markers, backchannel devices, (e.g. really? uh-huh, etc.) and so on. I would like to have more student led topics and conversation in my classroom. Creating a classroom culture where it is the norm. I use lexical chunks for prompts, question cards where the ss ask and move, picture prompts, etc. But it’s all my doing. I mean, I’m creating the topics. I need ideas to get students to decide the topics for the class and then to act on them. Just last week, I made an activity sheet for students to introduce their own topic for discussion. On the sheet there are two boxes. The first box is for the student to state his or her topic and to draw a picture that represents their topic. The second box is for their notes. The other students have a sheet to take notes and to write down questions to ask the Topic Master. However, Scott mentioned that conversation is not real if planned. I think I know what is meant by that, but not clearly. I teach small groups at a conversation school. Of course, I want real conversation happening. I want my students leading the way. Like that which was stated earlier, I want to be just the camera guy. 1. For me, small talk is the most important because it constitutes a difficult social skill that is often least practised among learners. But small talk is too mundane to base a whole class around, hence the need for materials. Yes – ever listened to people sitting at a bar, two women chatting in the Sauna? Husband and wife nattering on about those wee miracles they somehow, magically, gave birth to? Small talk, my friends, is what makes the world tick and it can be and is done for hours and hours and hours between those who know each other as it is in the very mundanity of the average conversation that repetition of the most frequently used words in the English language occur. Ideally a language classroom should provide the tools and create the environment to engage in what the whole world engages in (not the edge of the edge) – not entirely sure where the idea has arisen that mindless-mindnumbing small-talk cannot be done in an entire class nor even in fact an entire semester! And who is it that determines the mundane? The every-single-day conversations are always boring to someone and fascinating to someone else…. of an IT developer with his team; the dull and dreary review of the balance sheets of the company being audited with its CTO… the mindnumbing dullness of a director convincing his actors to act? Life itself is small talk and it very much does not matter that the majority of this discourse is senseless and without any real function (to whom? to whom? I cry)… the real function of daily interaction is to serve humanity, to create community, to say ..you know what, this is my life… not this is what I theorize life to be – and for the listeners, the co-creators and sharer of those brainless tidbits to say, I know -hey, this is my life also and we are okay. I suspect the problem is, therefore, more that the teacher has confused his/her role in the classroom as being “master-of-the-universe-of-the-English-language” or “most wisest one” rather than a “facilitator” and “open-doorer” of knowledge). It’s because some teachers can’t be bothered to stoop low, to indulge in the repetitive nonsense that makes up conversation that they completely miss the point that these nonsense structures hold up the beams to all the rest of language. 2. If learning opportunities are based solely upon this fairly restricted register, it’s unlikely that most students will find their communicative needs are satisfied – especially if these needs include more formal registers, such as academic or technical writing. Um, no… see above. The formal is supported by the informal. Don’t throw out baby with bath water. 3. Conversation is predictable, because one turn follows from the other. – not always, especially not in groups where A types are sitting. 4. We therefore have to listen very carefully… and we also have to take great care in constructing our contributions so that we can be understood. – interesting thought but not life realistic :D.
Lose control and all this academic investigation and allow conversation to simply occur – scaffold, support, correct – helper, facilitator, aid, guide… not all this controlling master of the universe stuff… this sort of thinking process leads us on to unuseable, unnecessary, convoluted flow-charts -taking you to far away from what’s really happening in the room, like. Language is flow, untameable, unknowable…delicious. I just keep coming back to the thoughts that the best teacher is he who not a teacher. Just been re-reading my Krashen, who says that one valuable function of the teacher could be teaching “conversational-competence” because it leads to more comprehensible input. It also seems to me that conversation in the class allows for acceptance into social groups etc – Krashen also mentions this social and psychological distance in terms of affective filters. Bonny Norton too talks of less successful migrant language learners not feeling ‘accepted’ as part of the society. For me this is where conversation in the classroom comes to the fore, as acceptance of a person and a way of negotiating entry into the target society/peer group via someone who is there to smooth the process – the teacher. “writing, when properly managed, is but a different name for conversation”. I’d say this sentence economically epitomizes all text and discourse analysis, even before linguistics was born. And indeed it broadly applies to all kinds of writing, including blogs! Sterne (good Irishman that he was) knew a bit about the blarney – as your quote shows! “I do not know what envy is: for never do I hit upon any invention or device which tendeth to the furtherance of good writing, but I instantly make it public; willing that all mankind should write as well as myself. I could notice that Sylvia Ashton Warner was mentioned in your artice. I would really love to find a film about her life, shot in the 1980s. Does anybody know where I can find it. I’m in Brazil and I cant’ find it here. Felipe, I did once see a documentary about Ashton Warner, available for private viewing in the film library of the New Plymouth (NZ) art gallery, but I have no idea who made it (possibly the New Zealand Broadcasting Corporation) or if it is currently available. It was a good 15 or 20 years old, but it did include some footage of the lady herself. That’s the best I can do, I’m afraid. Google?